Hello, it's been long time since my last blog post. 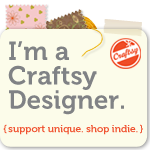 I did alot of crafting project, customers orders, that makes me forgot about blogging. Here I come again! YAY! 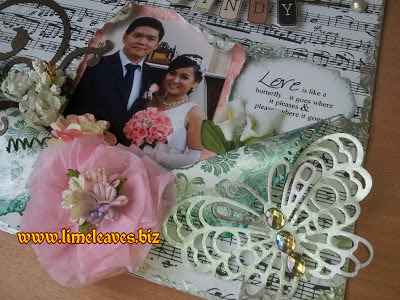 This is my mix media scrapbooking with wedding theme. 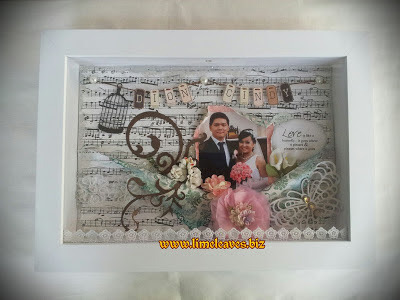 I use Echo Park paper for base, Stardream paper for the swirl and cage, and Graphic 45 too. 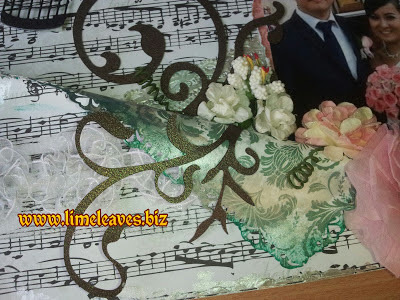 I also use green and silver acrylic paint. The mix of the materials creating romantic look scrapbooking. I am so enjoy making this scrapbook. It's a kind of pain release... I surely will mixing media again! It's so much fun!